WOT’s first priority was the setting up of a new study that would take into account the current situation, as well as planned development, assessing the cost and sustainability benefits of each of the possible options. This has now been accomplished thanks to some hard lobbying at our end and the support of countless individuals, organisation and the local press. 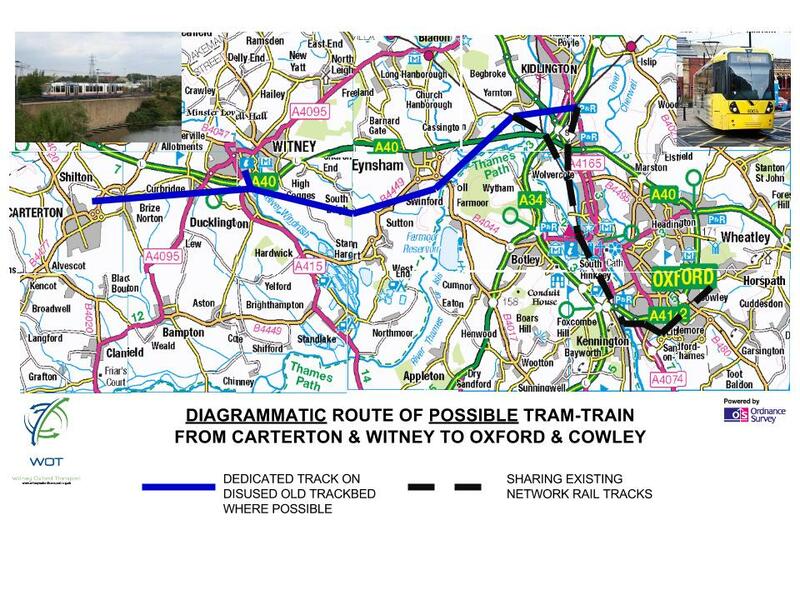 Doubling the A40 would be a very costly option as documents from the Oxfordshire County Council show. In addition it’s a well known fact that more roads have the tendency to create additional traffic. As a result of our lobbying and as the situation has progressively worsened, a small sum was set aside by LEP (£40m). Naturally we are aware that this is insufficient to provide a full alternative, but we have produced our own response to this (see Our proposal revisited). We remain of the opinion that above all West Oxfordshire deserves a long term, reliable, robust, fast, sustainable and modern public transport service, not palliative measures.